Biathlon-in-a-Box (current version 8.6.1) is an application that is designed to let you set up and administer a Biathlon event, from its conception through the creation and printing of the results. 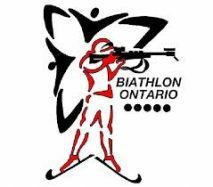 Biathlon-in-a-Box, or BIAB for short, assists you throughout the event, providing guidance, tools and resources for the preparation activities that are necessary to have smooth-running competitions. It runs on both the Windows and the Macintosh operating systems. It can interface directly with electronic timing, target and competitor identification systems for the acquisition of timing and results data, or that data can be entered though the keyboard of the computer. BIAB will allow you to conduct Biathlon events in summer, winter or any time of year. It permits great flexibility in defining the exact nature of any competition. It will allow you to match the Biathlon Canada and IBU rule books, or let you create variations upon the standard competitions, to suit your particular needs. Notwithstanding its flexibility, it produces results that fully meet the IBU requirements. In addition, it was designed specifically for Biathlon, so you don’t have to find work-arounds or accept compromises, as you must do when you use a multi-discipline generic results system. Although its user interface is in English, BIAB will produce results, lists, reports and forms in either French or English, at your request. Click to see a detailed listing of BIAB features. BIAB is a stand-alone multi-platform database application. You don’t need any other software in order to run BIAB, unless you choose to run a small network of results computers. BIAB uses relational database structures. This means that you only have to enter data once, even though it is used in many places in the application. If you edit data, any changes are automatically replicated wherever that data is used within the application. BIAB is not a spreadsheet environment, in which formulas can become damaged or columns of data inadvertently left out when re-sorting the data. BIAB will work with the Zone4 On-Line Event Registration System. Mac OS X El Capitan v10.11 or later versions, running in 64 bit mode. Click to learn more about BIAB licensing. Click to download a copy of BIAB.